A short video intro to one aspect of excavation. 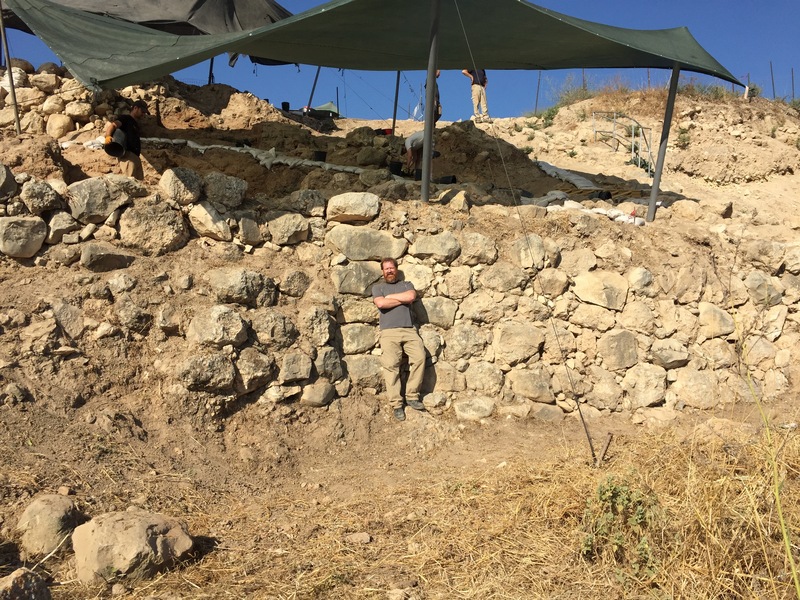 “You call this archaeology?” – Henry Jones, Sr.
One of the ancient fortification walls at Tel Lachish, after cleaning. The stones to the left (my right) are collapse in what used to be a gate opening. We’ll figure them out in a future season. Video | This entry was posted in 2015 Tel Lachish excavation, General Archaeology, Lachish, Short videos and tagged Lachish, Luke Chandler, video. Bookmark the permalink. Is there any mechanical method for weeding? Herbicides? We typically go Old School on vegetation removal. Besides the health risks to workers from close exposure to chemicals in the dirt, the introduction of herbicides alters the chemical composition of the soil, which could affect radiocarbon tests, etc. The manual work doesn’t take long, and excavation teams are loaded with young, strong workers who can just take care of it.